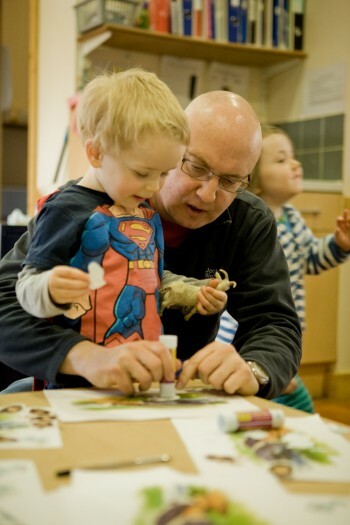 The Brentry & Henbury Children’s Centre provides a range of early education, childcare and support services to families living in our local community. Our primary aim is to provide high quality, child centred care to children aged between 6 months to 5 years of age using the Early Years Foundation Stage Framework. 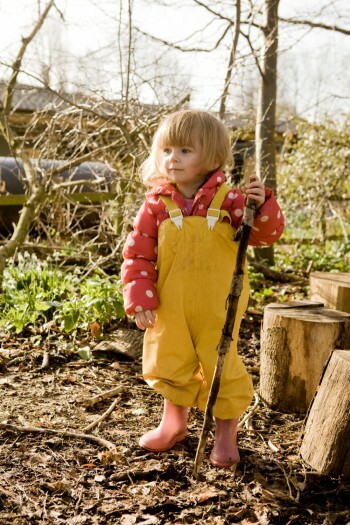 The nursery is open from 8.00am to 5.30pm, Monday to Thursday and 8.00am to 5.00pm on Fridays. 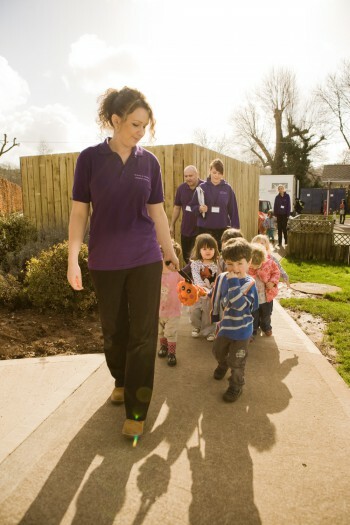 We also offer a range of community groups alongside our childcare. All children are welcome regardless of ability, disability, race, religion or culture and are all welcome to play, learn, and develop alongside their peers in a stimulating and safe environment. • A community support team comprised of individuals trained in a number of specialisms including a therapeutic play specialist and staff trained in supporting children who have experience emotional trauma. • A room in our main daycare building (an “Early Inclusion Space”) to support dedicated tailored interventions in a distraction free environment. • The opportunity for parents to attend informal support and social groups, parenting workshops and family trips during the holidays. 1. How does the education setting know if children need extra help and what should I do if I think my child/young person may have special educational needs? • A child may come to us with special needs already identified, in which case we will liaise closely with the family and professionals already involved to ensure that appropriate support and training is put in place ready for their arrival. • If parents/carers have concerns about the progress or well-being of their child, or think their child has SEND, they are encouraged to speak to their key person, room leader, our SENCo or any other member of staff with whom they feel most comfortable. We will discuss their concerns, and agree with them what will happen next. 2. How will the education support my child? • The environment at BHCC has been developed to support all the children, for example the use of pictures/symbols, timelines and Makaton. Children with SEND will often benefit from these to an even greater extent and may enable them to participate alongside their peers independently. • Where appropriate, we will involve specialists at the children’s centre, for example the speech and language therapist, in deciding the strategies to be used. Where it is felt that additional professional support is required, referrals will be made with the agreement of the parents/carers. • The SENCo provides regular reports to the Senior Management Team on the progress of pupils with SEND, and the effectiveness of the provision being provided. This is shared with the Trustees at regular meetings. • Regular reports and parents’ evenings, spread across the year, give all parents and carers regular feedback on their child’s learning and any behavioural, emotional or social strengths or difficulties. • Parents/carers are encouraged to share their child’s interests, achievements and special events along with any concerns that they may have either by talking to a staff member during handover, but contributing to their learning diary or by having a more formal meeting with a relevant staff member (either at their or our suggestion). • We hold regular events and community groups for parents/carers to come along and find out about what we have been doing and to get ideas about how to support their child’s learning. • The well-being of all of the children is our primary concern. They are supported with their social and emotional development throughout their sessions, both through group activities and by giving them the opportunity and security to share their feelings on a 1:1 basis. • We have our own community team to support families which comprises of individuals trained in a number of specialist areas. • We have a Therapy Room which provides a nurturing environment where children can develop the necessary social, emotional and behavioural skills needed to successfully access our curriculum. • A number of our practitioners hold early years teacher status and all practitioners receive regular training to best support our pupils with SEND, for example in autism and in speech and language needs. • BHCC is fully accessible to all children. Where families are eligible for the Disability Access Fund and nominate us to receive it, the money will be used to make the environment and support more accessible to the child through the purchase of resources or additional staff training. • Our finances are managed and monitored by our Business Manager, the Senior Management Team and our Board of Trustees and we utilise resources to support the strategic aims of our setting as well as individual learner needs. • We can apply for additional funding in order to meet their additional needs of children with more complex SEN and Disabilities. This may include obtaining specialist equipment. • Where a child is eligible for Disabled Access Fund and parents/carers nominate us to receive the payment; we will use the funds to make the setting more accessible for the child through the purchase of equipment or by arranging staff training. • Should additional support be required, this is undertaken after consultation with the families, the relevant staff and other professionals as necessary. All interventions are monitored for impact and outcomes are defined at the start of any intervention. The SENCo oversees all additional support and regularly shares updates with the senior management team, who refer to the trustees as appropriate. • We are a child and family centred setting, so parents/carers will be involved in all decision making about their child’s support. • Parents are invited to become involved through invitations to events throughout the year, by contributing to their child’s learning diary, by sharing interest or skills with their child’s class, by becoming a member of the charity or by joining our board of trustees. • Our community team run groups and classes for families which include giving parents the confidence to support their child’s learning at home. • Parents/carers are encouraged to talk to the member of staff with whom they feel most comfortable; usually their key-worker in the first instance. For children with SEND, further information and support can be obtained from the SENCo, a member of the Inclusion Team, the room leader or a member of the Management Team.